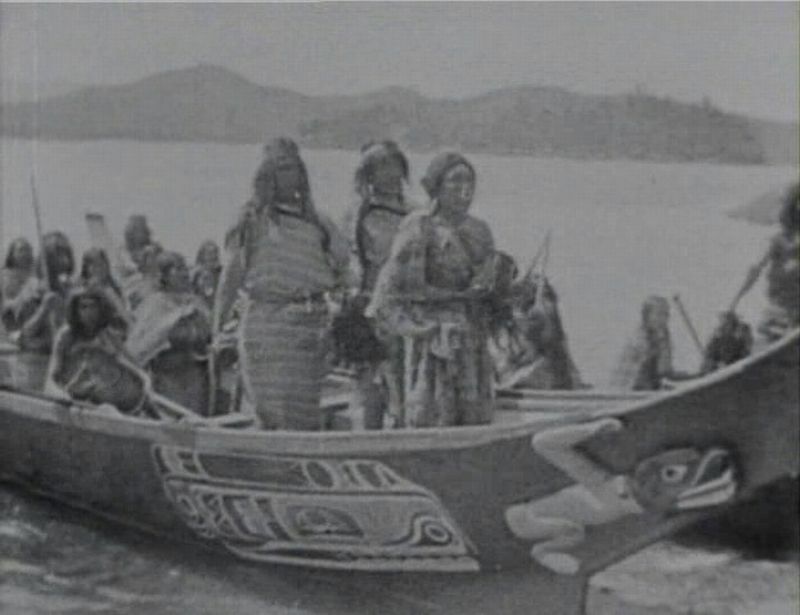 Voici une rareté: un film de Edward Sheriff Curtis (1868-1952) datant de 1914, reconstituant une légende kwakiutl, dont tous les personnages sont d'authentiques Kwakwaka'wakw (le nom que se donnent les Kwakiutl). On peut lire, pour mieux comprendre les Kwakiutl, L'essai sur le don de Marcel Mauss, les Kwakiutl Tales de Franz Boas et La voie des Masques de Lévi-Strauss. "In the Land of the War Canoes"
47 minutes. Black & White. Selected for the National Film Registry by the Library of Congress, this early Native American drama/documentary is an amazing film produced in collaboration with the participants over the course of three years. The story of love and revenge among the Kwakwaka'wakw of British Columbia, Motana, the son of a great chief, goes on a vigil journey. Through fasting and hardships he hopes to gain supernatural strength which will make him a chief as powerful as his father. Curtis showcases the Kwakwaka'wakw's magnifcent war canoes, totem poles, rituals, costumes and dancing.